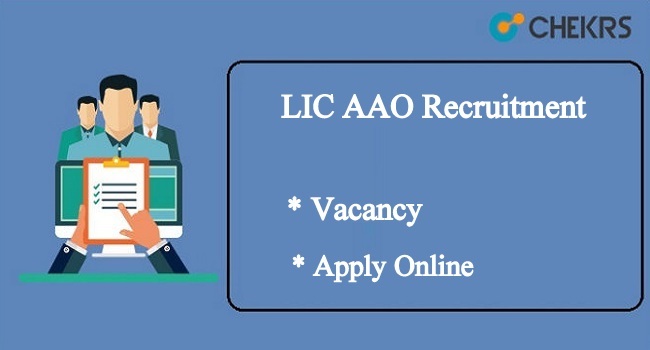 LIC AAO Recruitment 2019: Life Insurance Corporation has released the notification for 590 vacancies of Assistant Administrative Officer (AAO) (Generalist/ Actuarial/ Rajbhasha/IT/ Charted Accountant). Aspirants who were eagerly waiting for these Central Job Vacancies can check the Assistant Administrative Officer vacancy and fill the online application on or before the last date. The LIC AAO application form available from 02nd March to 22nd March 2019. Every year through the LIC AAO Recruitment 2019 drive more aspirants are selected, this year the number of vacancies is 590. For more details about LIC AAO Notification 2019, refer to the below sections of our article. Latest Update: Life Insurance Corporation of India (LIC) has published the Assistant Administrative Officer (AAO) Recruitment 2019 for 590 vacancies. Interested candidates can fill the application before 22nd March 2019. The Life Insurance Corporation will be released Assistant Administrative Officer Recruitment 2019 Notification on the official website to fill up the 590 various vacant posts. The Life Insurance Corporation of India (LIC) invites online application forms, from the eligible candidates to the post of the Assistant Administrative Officer. Candidates who are eligible for the above-specified job. They can apply for the LIC Assistant Administrative Officer Notification 2019 drive before the deadline which is 22nd March 2019. Late applications forms are not accepted for such recruitment drives. Therefore to avoid instances fill the LIC AAO Vacancy 2019 Forms within the stipulated time (as notified in the recruitment advertisement). Candidates’ who are eligible for the LIC AAO recruitment ( as per notification terms and conditions) they can their online application directly from the official website. Candidates’ are advised to read the LIC AAO Notification PDF 2019 completely before applying. If a candidate fills any wrong information, while registering online, then that particular candidate application form may be discarded any time during the selection process. Therefore, to avoid such instances fill up the application form beforehand. Now at the end take a printout of the application form for further reference. The LIC Corporation set certain standards of eligibility criteria to recruit the desired candidates. The basic eligibility criteria that are considered while recruiting the candidates are educational qualifications, age limit, etc. Bachelor/ Master’s Degree from a recognized Indian University/ Institution. Candidate age must be between 21 years to 30 years. However, for reserved category age relaxation criteria, candidates’ may refer to the official notification. Candidates will have to make the application fee only through e-banking (Credit/ Debit Card). Candidates who will perform extremely well in the LIC Assistant Administrative Officer Recruitment 2019 prelims & mains examination will be shortlisted for the Personal Interview. However, the extremely well condition is only satisfied with respect to the cut-off criteria. To select the candidates’ provisionally, the exam conducting authority set minimum cut-off criteria. And this minimum cut-off criterion is applicable for all the rounds of selection that are part of the recruitment process. To receive the latest updates of the LIC AAO Recruitment 2019, keep following jobs.chekrs.com. To resolve your queries leave in the comment box and get in touch with our experts. My name is Suresh S. Vasava from…Bharuch.. I have one year Experience this Lupin ltd, Ankleahwar..